Ijoy Elite Mini Kit, which is powered by 2200mAh built-in battery to fire up to 60W, adopts big size of fire button for easy pressing. 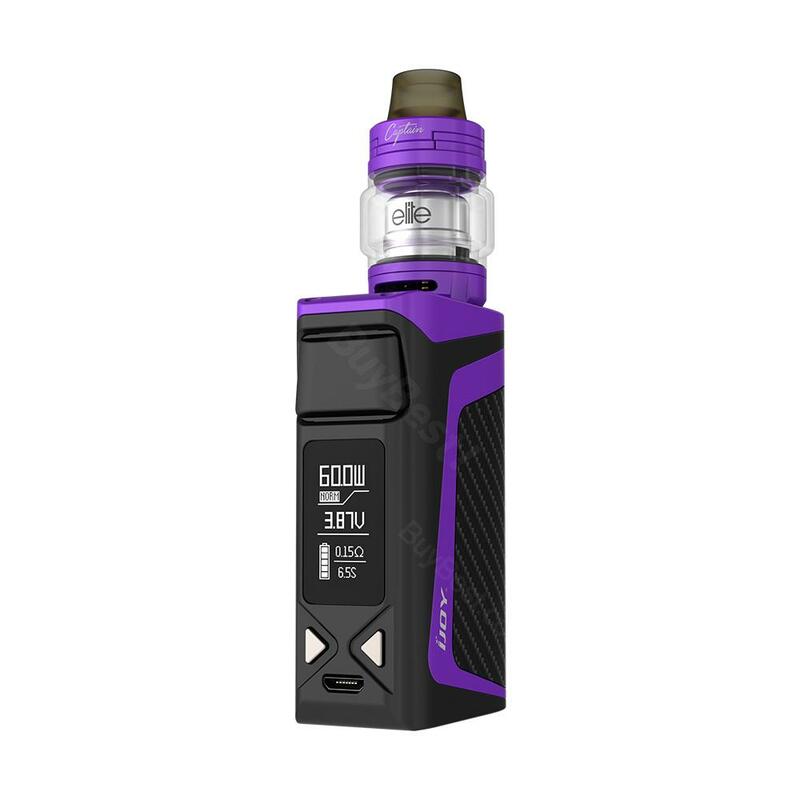 The kit is equipped with switchable subohm and RTA tank, together with adjustable airflow slot, the kit will offer different flavor and cloud. Ijoy Elite Mini Kit, which is powered by 2200mAh built-in battery to fire up to 60W, adopts big size of fire button for easy pressing to avoid wrong operation. The kit creatively adopts RTA, subohm and pod three-in-one system which can make you enjoy different vaping experience with just one device. Of course you can choose subohm to save your time or enjoy handcraft achievement at will. Furthermore, the pod can also be used in other devices. Together with adjustable airflow slot, the kit will offer different flavor and cloud. Sliding top design make it easy to refill liquids. Here are several colors for selection. Please just take the kit without hesitation. • No liquid, you need to buy it separately. • Three-month warranty for Ijoy Elite Mini Kit. 60W Ijoy Elite Mini Kit with an in-built 2200mAh battery. With the unique pipe shape, the Zen Pipe Mouthpiece will bring you an amazing vaping experience. Just get it as a spare part for your VapeOnly Zen Pipe. It is compatible with Juul and Phix pods. With the J&P Pod Adapter, not only can you use your pods on a mod with long battery life, but also you can do some wattage setting adjustments.